I've been away a while and my old computer is in the skip and I'm trying to work around my work computer and my dying laptop. But it's good to be designing again. It's taken a long time to get the balance of elements right, the pacing and collision issues sorted but I think I finally have something that is resembling a finished layout! So here's a picture of the FVD++ (I'm new to this) file. 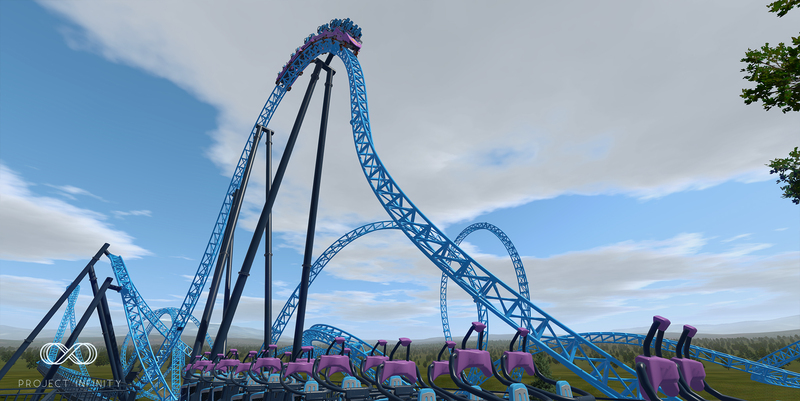 I do have a terrain to add and some tweaking to do, but it's riding well. The project name comes from the fact from various angles the shape of a lemniscate, the symbol for infinity. And a lot of the ideas so far are branching from this. I'll reveal more later on. Managed to get this beast into the sim and get it running like a dream, really happy with the layout now. Time to get onto the fun stuff. Lol that tophat exit looks insane. 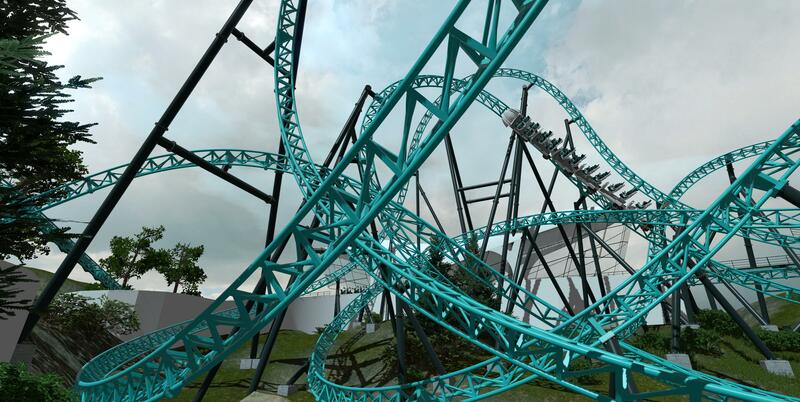 Haha it rides pretty well, but yeah off ride makes it look abit crazy. I'm all still abit rusty at the moment, but looking forward to getting to the more exciting parts of this. Looks stunning, especially in that last picture. 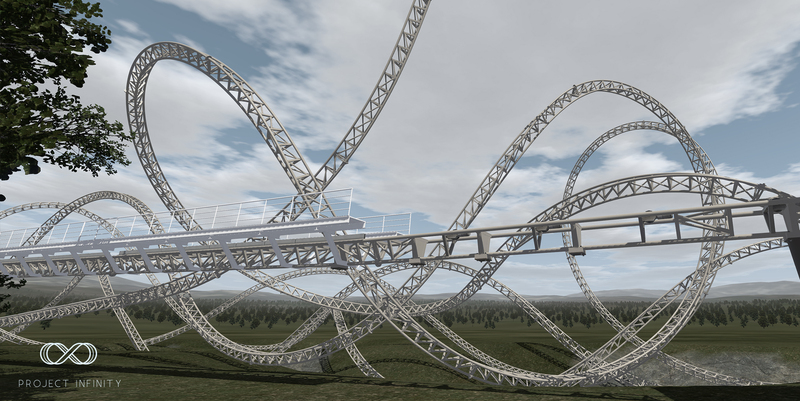 my long time collaborator has jumped on for another RLRides + Crazycoaster Design project! Whoop! Was stuck in a rut abit in getting this ride to a finished level, but Andre has helped focus all the ideas I've had and started creating the environment for it to sit in. I'm still working on the branding and stuff but FINALLY it's starting to come together. I swear this is the hardest project I've done so far in terms of brain power, maybe I'm just getting old. 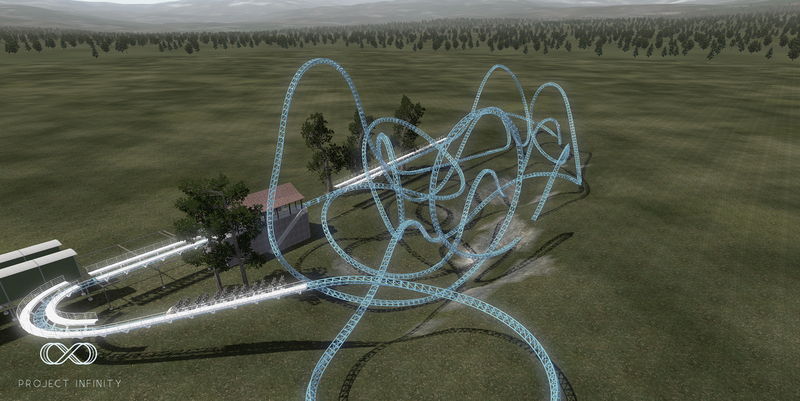 Here's a preview For you of the station building and pathways. It has no textures at the moment but Andre's already done such a fantastic job. Watch this space for a final name and videos. Here's a quick preview of the thing in motion. As painful as it is for me to see it every time IRL, good job on keeping with a realistic Mack "waft" instead of a launch. What you showed looks pretty cool so far! Ahh I know, Icon's build up and launch pains me every time. But it wouldn't be a MACK unless I did it. The second launch has more punch though, I took some artistic license there. Things are slowly falling into place thanks to Andre <3. Hopefully I will release this in the summer. But for now. Area pathway under the launches. 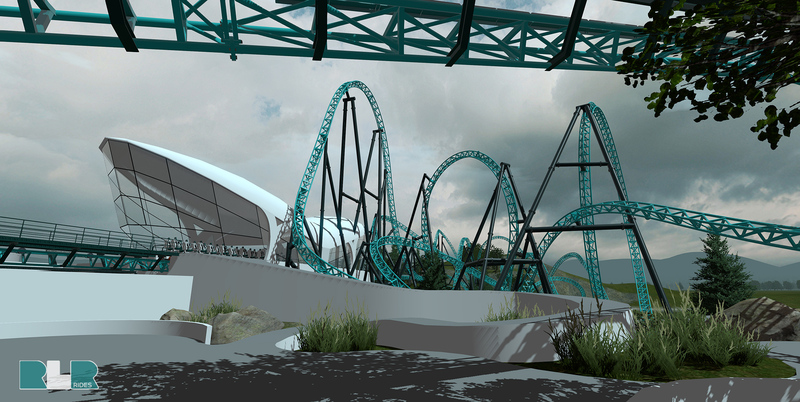 Final brakes above the ride entrance plaza. Lookin' sweet. That lighting for the queue would make an excellent launch tunnel (insert eye emoji). Quality as per usual, really coming together quickly too! I love the feel I get. This is great! Project: infinity - Boneplaya UPDATE on p. 2!